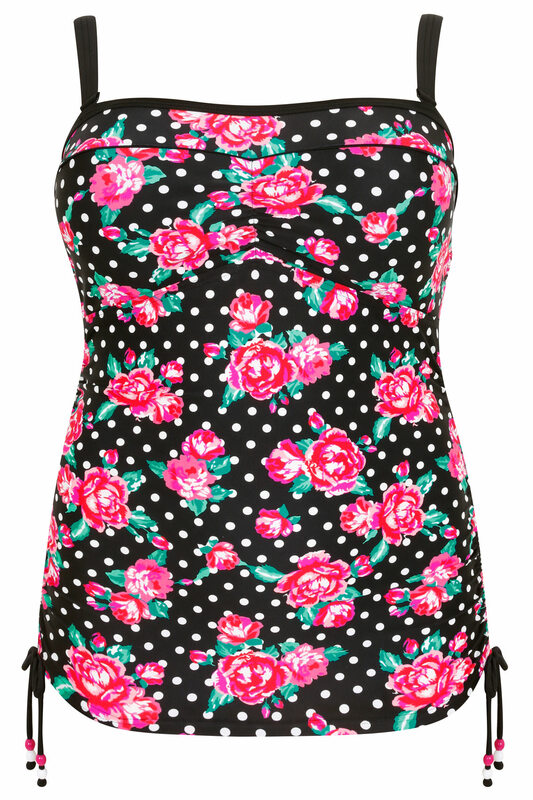 Plus size black and multi tankini top with all over rose and polka dot print. Featuring padding to the bra and detachable, adjustable straps for extra support. Complete with ruched sides with tie string and beading detail. 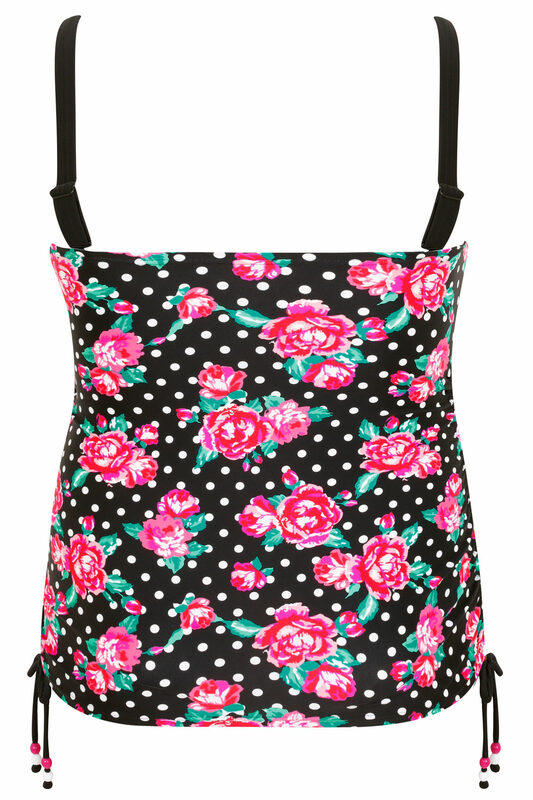 Step confidently into the warmer weather with this flattering swimwear piece, perfect for holidays and beach fun!